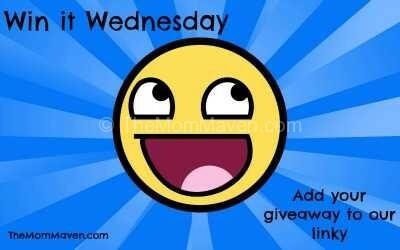 Happy Win it Wednesday Giveaway Linky Day and Happy Birthday week to me! Yes on Friday, 5/25 I turn another year older. I will be spending the day at Walt Disney World with my son Jordan, and we might go again on Tuesday 5/29 to celebrate his 23rd birthday. This is his last birthday as a single man as he will be getting married on 9/1/18 so I want to spend as much time alone with him making memories as I can. Speaking of making memories, did you get up before dawn last Saturday to watch the Royal Wedding like I did? This is the 4th time I have attended a Royal Wedding via television in my pajamas. I actually had a friend who happened to be in London for the weekend on her way to school in Switzerland. She decided to go to Windsor and join the crowd along the Long Walk and hope to catch a glimpse of the Duke and Duchess of Sussex while they rode in the open carriage. She was blessed to be close to the rode and she got some amazing pictures! I am so excited that she decided to add this last minute adventure to her visit. On top of that a good friend of mine who lives in the UK picked up a copy of the Royal Wedding edition of a London newspaper and she is mailing it to me!!!!! I cannot wait for that package to arrive. Ok, enough Royal Wedding and birthday talk. It’s time to get to the giveaways!